Oops!... I made an extra 3.8 Billion Euro Profit. Although its impossible to know exactly what each individual will face during a specific event there are some recurring issues in most large scale disasters. Looking at the recent earthquake in Nepal as well as the volcano eruption in Chile, clearly there are certain things people desperately need. Even looking at terrorist attacks such as 9/11 its not hard to extrapolate and imagine what could happen when large urban structures collapse, parts of a city is shelled and people end up killed, injured, left without a home and displaced. For communication with loved ones after the disaster, either using the phone, text or scrounging some wi-fi in various locations. Smartphones can be used to look up maps, get plane tickets, rent a car or hotel reservations on line, gather news, keep copies of important files, just to mention a couple of the most common uses. A waterproof smartphone with an impact proof case would be the ideal combination, something like the Samsung Galaxy S5 Active. If your cellphone has an incorporated FM radio though, remember that these usually require headphones to operate given that the phone uses them as the antenna. During the Calbuco volcano eruption last week(it erupted today for the 3rd time) people rushed to buy face masks and bottled water. Conveniently, these have gone up in price five to ten times compared to pre-disaster prices. Gas was also in great demand. After the earthquake in Kathmandu, survivors faced the problem of not having enough money to buy food, which was for sale in nearby markets. Yes, cash is king. It gets you food, supplies, transportation and puts a roof over your head, sometimes along with a comfortable bead and minibar. Another common theme found in both the Calbuco volcano eruption and the earthquake in Nepal. In the case of the volcano eruption, people pretty much have to live with their face mask on. In the case of Nepal, its needed first due to dust caused by the falling buildings, then by the debris being moved while rescuing people and finally due to the smell of rotting corpses. In these cases a simple face mask is better than nothing, a proper respirator is nice to have and a proper full face respirator would be ideal. Again in both cases water is a top priority. Volcano ash contaminates it and damaged the supply of tap water and the earthquake busts the infrastructure as well. You need water, and you need it fast. In a matter of hours people can become “hungry” for water. Sometimes there’s water, but it just isn’t safe to drink. Here is where a filter is worth its weight in gold. In the case of the Berkey Sport, you can have both in the same bottle. Ideally you would have a good fixed blade, a saw, an axe, a pickaxe, a crowbar, a shovel and power tools. If we cant have all of the above, a large multi-tool usually comes to the rescue nicely. 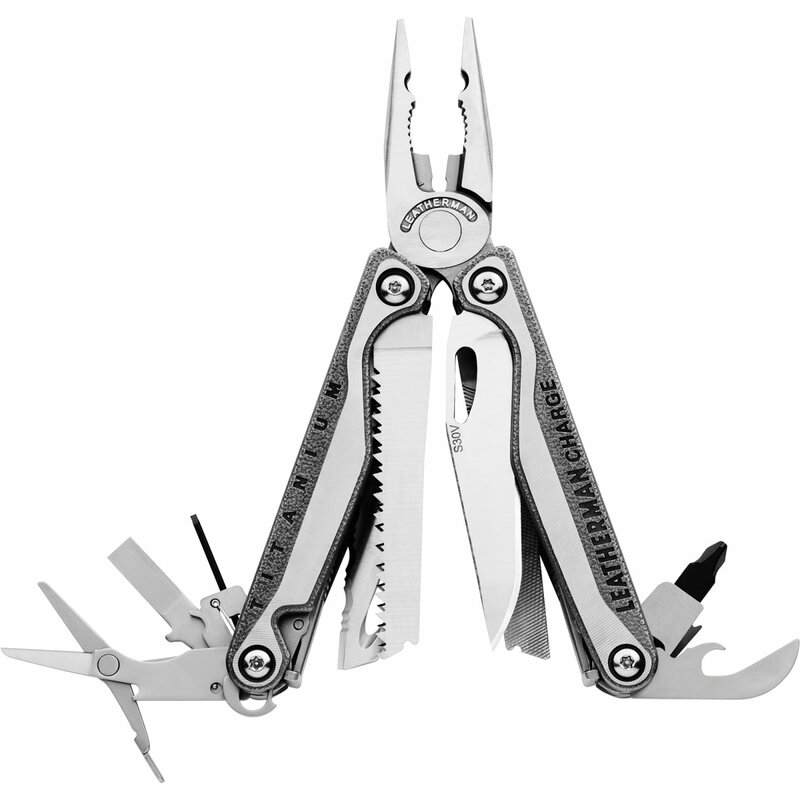 Models like the Leatherman Charge, Wave and Surge have nice sturdy blades, cut through wire with little effort and even have pretty acceptable wood saws for emergency use. A first aid kid in mandatory for dealing with small wounds. You can increase the life saving capability of a comercial one by adding a CAT tourniquet and hemostatic gauze. Useful for searching for victims, signaling for help and basically moving around the disaster area at night. Models that use common AA batteries may be easier to keep running if the battery offer is limited in the area. Headlamps are particularly useful because they liberate a second hand. The whistle is one of the best ways of signaling for help. It is far more efficient than shouting and it can be heard from much further away. Many people trapped under the debris after the earthquake sure would have liked to put one to good use. What people need most of all, is a Bug Out Plan. A place where they can find safety and a strategy to get there. When you no longer can stay in your main place of residence you will need an alternative. It doesn’t have to be anything too fancy, friends or family you can stay with for a while will do, at least for a short or medium term. Ideally, you would have options within your same city, within your same State, in other parts of the county and even abroad. In the case of Nepal, Kathmandu has seen extensive destruction and many people are looking to relocate elsewhere in other cities although many of the nearby towns and villages have been hit as hard or worse. In this case, some people may even consider leaving the country entirely if that’s an option. In the case of Calbuco eruption, the plume of ash affects a wide area as well, including entire towns and cities making it necessary to move away from the ash plume. You need a plan to get yourself and your family to a safe location. The family needs a contingency plan in case members are separated when the disaster strikes, selecting rally points and having means of communication. You will need means to get to your Bug Out Location and a planned route to get there. These are the topics I address in “Bugging Out and Relocating”, precisely for this type of event when staying in the disaster area isn’t an option. Although most people do try to help one another during disasters, its also true that a small minority may try to take advantage of the lack of law and order. You don’t need a ton of “guns and ammo”. A handgun is compact, concealable and portable enough and it can provide a significant amount of peace of mind. 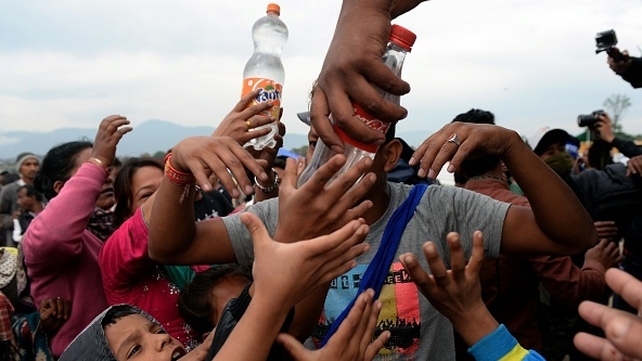 Nepal: Man survives 82 hours under the rubble by drinking his own urine. 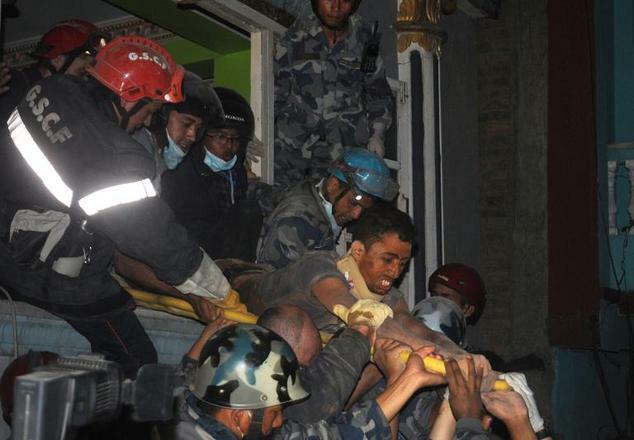 A man that survived 82 hours under the rubble of a collapsed building in Katmandu was finally rescued. Rishi Khanal, 27, was in the second floor of his hotel when the earthquake hit. As the building partially collapsed around him, his foot was caught under the rubble. Rishi Khanal managed to survive by drinking his own urine. A French rescue team heard the noise he made banging against the rubble and saved him three and a half days later. If trapped… save your own urine, because you never know. Have a good, multimode flashlight with you at all times. Take the time and attach a whistle to its lanyard. A whistle is MUCH more effective than shouting and crying out for help. That’s what the arms industry is singing thanks to France’s latest announcement. 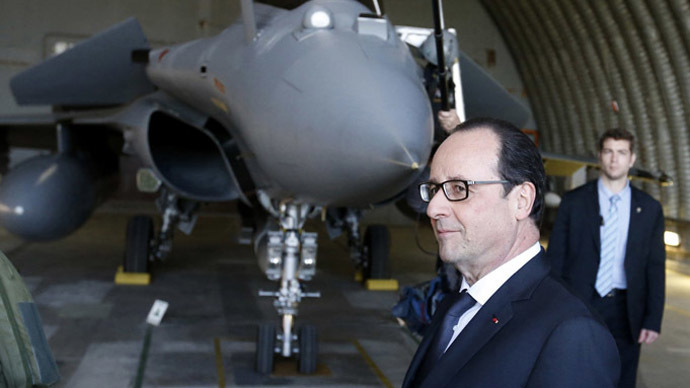 President Francois Hollande said "France is facing big threats internally and externally," ... "Security, protection and independence are principles that are not negotiable." Paris had previously said it would keep its annual defence budget at the same level of 31.4 billion euros in its strategic review running from 2014 to 2019. Given the Charlie Hebdo terrorist attack, the public opinion isn’t expected to complain much about it. Isn’t it interesting? It seems that every time there’s a high-profile terrorist attack in a developed nation a bunch of guys end up making a ton of money. 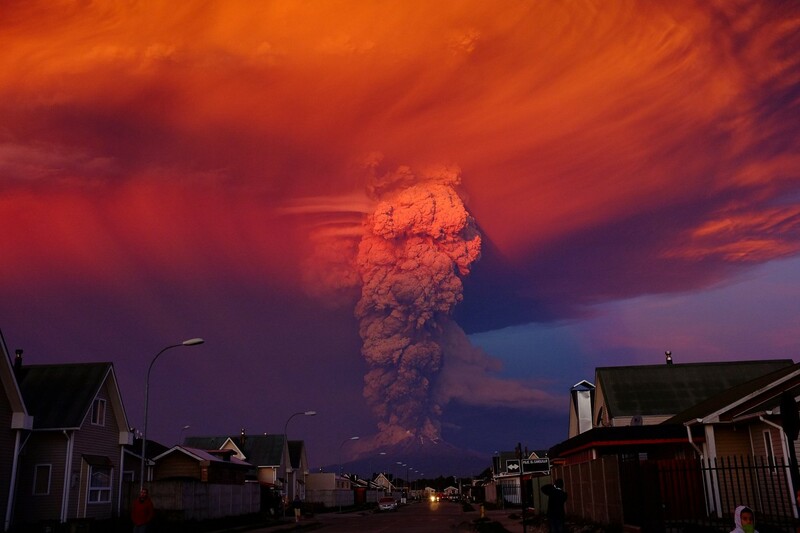 It seems like it was only yesterday that I was writing about the Calbuco volcano eruption. It seems like it was only yesterday because it pretty much was! Calbuco is still throwing thousands of tons of ash into the atmosphere. 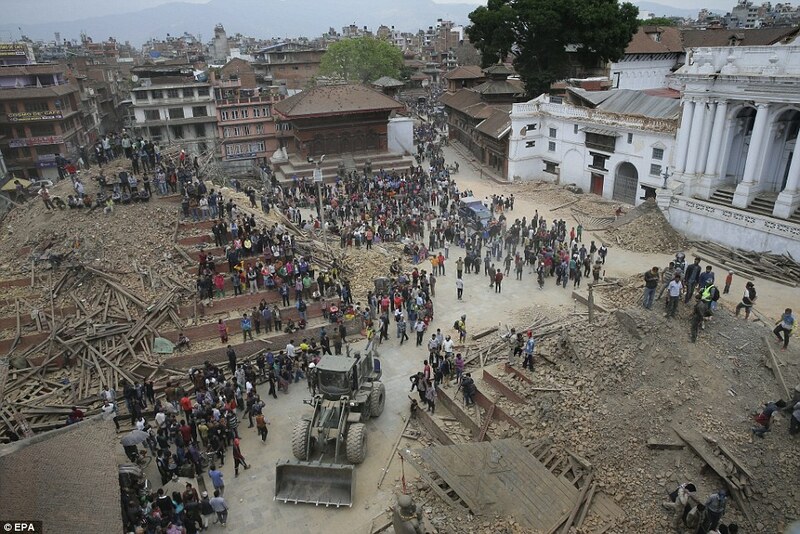 The 7.8 magnitude earthquake that killed over 4.000 people hit Nepal this last Saturday. There have also been fatalities in the Himalayas as an avalanche flattened part of the Everest Base Camp. 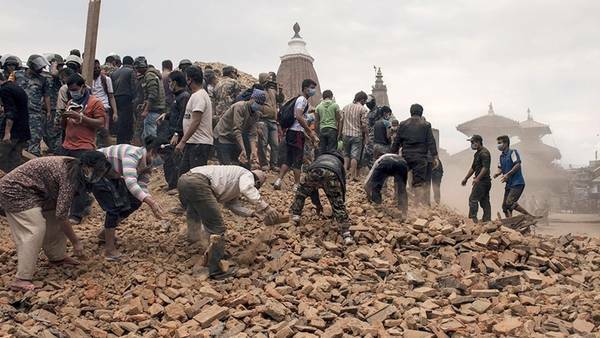 Nepal is a poor country and is struggling in its disaster response effort. People are digging out the victims themselves, the wounded are being treated on the streets and tents given that hospitals have been overwhelmed. There’s a lack of food, water and fuel. The spread of diseases is a growing concern as the sanitary conditions worsen. For thousands of people there’s nowhere to go given that their homes have been completely destroyed. *Avoid earthquake and disaster prone areas in general, especially countries that aren’t prepared for them. This should be obvious enough although many times you don’t have much of a choice. This has been the worst earthquake in Nepal in the last 80 years… 80 years isn’t that much time. I feel the same way about Chile and New Zealand. Being located in the Ring of Fire means earthquakes are something you’ll have to live with. For millions, these places are home and they simply don’t want to live anywhere else. Millions of others can’t leave even if they wanted to. Having said that, if you do have a choice or if you can live elsewhere, it’s a good idea to do so and although you can’t live your life in constant fear because that simply isn’t living, do take it into account when planning your next vacation. Maybe it’s because I lived in South America most of my life, but I just don’t see the need to go to poor, developing nations to have a good time. Actually, it’s kind of the other way around. *Drop. Cover. Hold. Drop down to the floor. This is the first thing to do given that an earthquake is likely to make you fall. Once on the grown, try reaching a safe location nearby, such as under a sturdy table, or next to low lying furniture that isn’t likely to fall over such as couches or next to an interior wall. Cover your head and back of your neck, these are your most critical body areas and may be hit by debris and falling objects. Hold your position until the shaking stops. This advice can be life-saving and is indeed accurate for places like New Zealand, Los Angeles and other parts of the developed world where buildings are made to withstand earthquakes. *Don’t run outside. You’re safer indoors. The front of buildings contains an important amount of glass, steel and other materials which may fall on you and cause severe injuries as you exit the building. Falling trees, posts, signs and power cables may injure you as well. *Careful about the “Triangle of Life” theory. This theory recommends people not to take the Drop, cover and hold standard approach, instead recommending to take shelter next to solid items, which in theory will provide pockets of space as the building collapses. Research from most reputed agencies and governments strongly disagrees with the “Triangle of Life” theory. It is only during pancake-type collapse of the structures, with one level falling on top of the other, that some success can be found with this approach. Even then, the exact object and its load bearing capability is extremely difficult to figure out during the ongoing disaster. Most deaths are caused by falling objects rather than collapsed structures during earthquakes that take place in modern buildings such as the ones found in developed countries. *While Drop. Cover. Hold. is without a doubt the best approach and the “triangle of Life” Theory is indeed highly controversial, it is true that old masonry buildings and other rudimentary constructions typical of third world countries can and often do fail catastrophically during earthquakes. If caught inside such a building, your chances of making it out alive are drastically reduced. If the exit is within reach you want to escape from it as quickly as possible, keeping in mind that the entire front of the building may fall over you as it collapses. In some cases, survivors have managed to make it out alive by either reaching or finding themselves on the top floor of the building, reducing the amount of debris that falls over them and making it less likely to be crushed. Survivors have said they “fell” along with the building, managing to survive by being left on top of the rubble rather than under it. * Katmandu has been impacted the worst by the earthquake, but its also where rescue efforts are being concentrated the most. Small towns and villages, many destroyed completely by the earthquake, are receiving little or no help. Many have been cut off from the outside world because of affected roads and bridges. *Have a bug out plan. If there’s one thing most serious disasters have in common, is that when you can’t stay in the affected area you better have somewhere else to go. It is important to prepare and be ready. Some people don’t like being labeled as “survivalists”, but I think it’s much better than being labeled “refugee”. Did some bread with +1 year expired Self-raising flour and expired olive oil. Turned out quite well! The bread tasted great, so did the olive oil. It even raised pretty nicely for being about 18 months past expiration date. It’s the break of dawn but the sun is not coming out in Bariloche. “Its like living inside a cloud” says a local resident. The volcanic ash covers everything. The stench of sulfur is overwhelming. 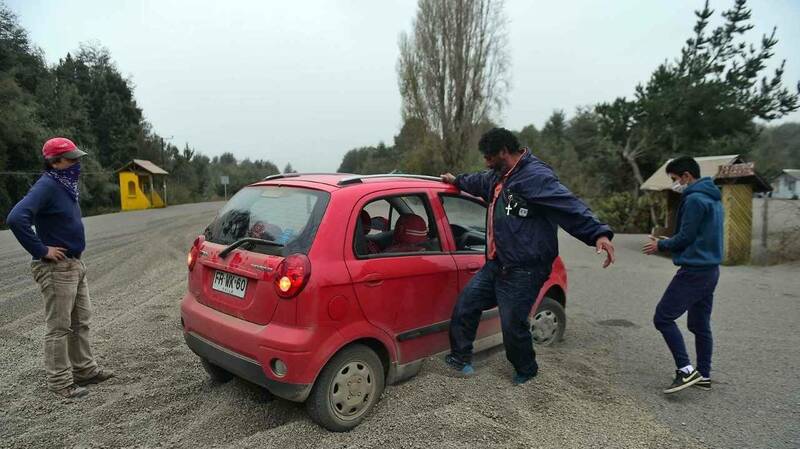 Volcanic Ash in Bariloche, Argentina. 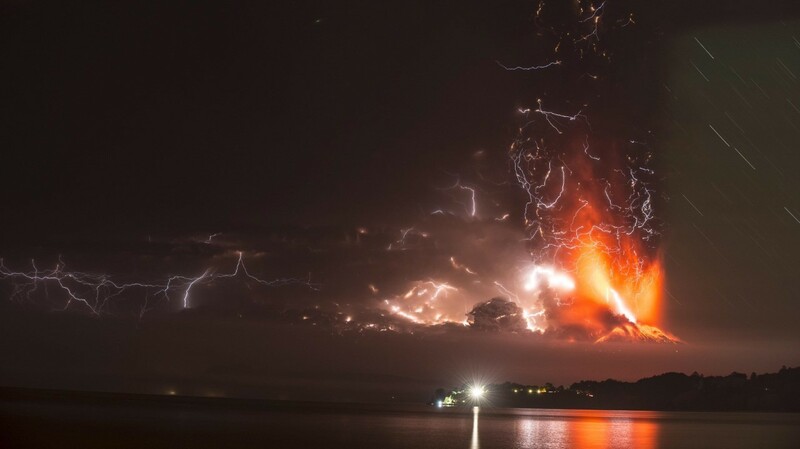 Calbuco erupted last night in Chile, sending tons of ash, rock and lava into the night sky. Six hours later it erupted again even stronger than the first time. Since then, literally all hell broke loose. Chile is on “Red Alert” and has established a 20 km exclusion zone around the volcano. Hundreds have been evacuated. 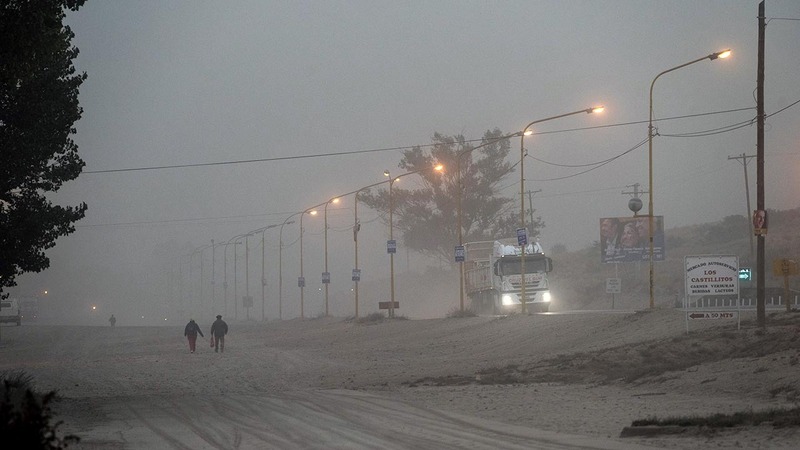 The western winds send the ash across the border into Argentina, affecting the towns in the vicinity. 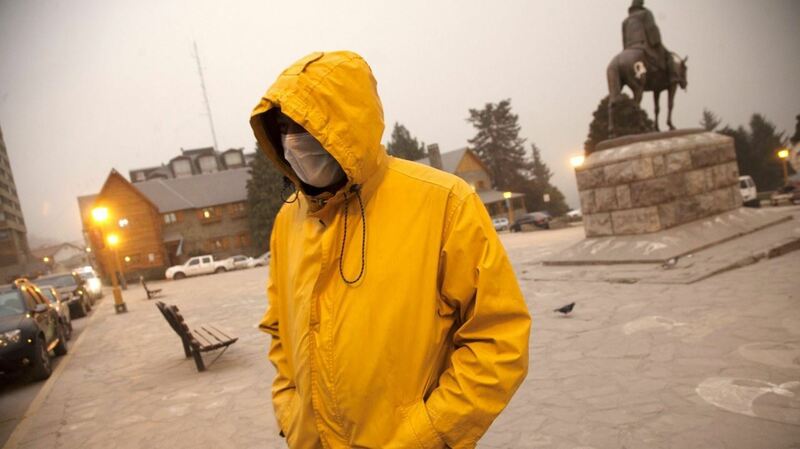 100 km from the volcano, the city of Bariloche is on full alert. There’s no schools, people are told to stay indoors, ration water and avoid rushing to stores for supplies. People are asked to ration fuel and minimize its use, saving it for emergency and rescue vehicles. Flights to the area have been canceled. There are already concerns regarding the contamination of surface water sources. Volcanic ash is also known to clog intake structures, cause abrasion damage to pumps and block pipes, interrupting the supply of water. The ash is expected to reach as far as Buenos Aires. During the eruption of Puyehue in 2011 I got to experience first-hand what it’s like to wake up one day and see everything covered with grey volcanic ash. It soon becomes hard to breathe. You throat itches and it stings your eyes. You’re basically breathing in small pieces of glass. I can’t imagine what those people are going through right now. *You need respirators and eye protection. Most people just try to get by with simple facemasks, but authorities advice people with respiratory complications to get better quality respirators. In some parts respirators are distributed by local authorities but there’s not enough for everyone and soon people have to buy their own, if they find them. Common single layer fabric facemasks can go for ten times their previous market value. 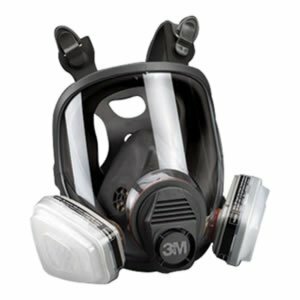 Proper full face respirators (like full face 3M 7162) such as the ones often recommended here are all but priceless in such a scenario. Even better, get a respirator that uses a NATO 40mm NBC canister. *Water. Remember what we always say about water: it’s the most overlooked supply. 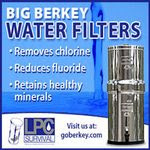 Have a good water filter but also store enough water as well! Already in some parts of Bariloche, a gallon of water is going for 8 Usd, about 80 pesos. Keep in mind, we’re talking about a region known for its massive forests and lakes, think Alaska, yet that’s the going price for water in a region where just two days ago you could just go and pick as much as you wanted from the nearest pristine lake. All this changes immediately when volcanic ash starts falling and you can no longer drink the water around you. *Food, fuel and other essential supplies. The basics we always talk about come into play here as well. As the volcano erupts, everyone rushes to the stores to stock up, just like it happens with storms and hurricanes. Have your supplies ahead of time. *A Bariloche resident explains “We learned from the last volcano eruption. Now we know how heavy accumulated volcanic ash can be, so we make sure to remove it from the roofs. Last time many roofs collapsed because of the weight of the ash”. Many people have now sealed their homes with tape and protected their vehicles in preparation. *Cars can be severely damaged by volcanic ash. Air filters must be inspected and replaced with care so as to stop any ash from going into the engine. Windows can be easily scratched by the ash, same goes for the paint of the vehicle. 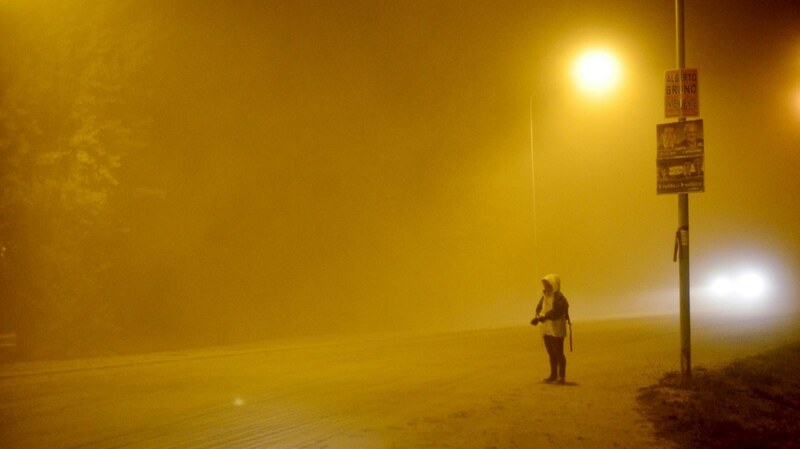 With reduced visibility, its advised to stay put if possible. The fine, hard ash does a number on all mechanic parts of the vehicle eroding any moving parts it gets in between. *You need a Bug Out Plan. Its hard to explain how difficult life can be when you no longer have the privilege of breathing in fresh air. For most people, leaving the affected area until conditions improve is a good idea. For some people, that move may be permanent. During the 2011 Puyehue eruption, many farmers lost all their crops to the ash. Plants died, animals starved. The surface water was contaminated, the grass was covered in ash. Sheep would destroy their teeth, eroded by the glass-like volcanic ash. Yet again, another example as of why you just can’t live in your Bug Out Location and how disasters often make no distinction between urban and rural areas, indiscriminately affecting both. The drought in California keeps getting worse and its small rural towns such as East Porterville that are affected the most. 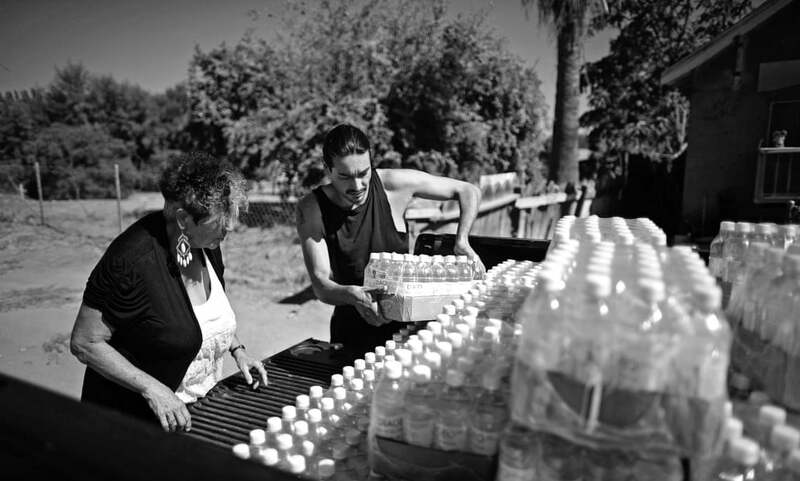 As wells continue to fail, with 996 already reported, many residents of East Porterville depend almost exclusively on bottled water for getting by. Porterville was developed with a municipal water system hooked to a deep, industrial-grade well. Residents of Porterville depend on groundwater as much as their neighbors to the east, but because the larger city has infrastructure to pump from a deep aqueduct, taps in Porterville haven’t gone dry. I have often explained that having a passport is mandatory documentation for anyone interested in survival and preparedness. The reasons why you should have a passport are many. Even if you don’t plan on traveling, it’s the best form of ID world wide and an excellent additional ID if you lose your driver’s license. Many times, potential employers will ask you to have one for business travel. You may end up losing a great job opportunity if you don’t have one. Even in your existing line of work you may need to travel unexpectedly for closing a deal, talking with a potential client or going to seminars, all of which you may lose if you can’t travel at short notice. Maybe it’s not even yourself that is traveling. Maybe you’re retired or just don’t like traveling abroad, but your children do. What if they suffer an accident or get sick while abroad and you can’t travel to help them? If having one passport is a great idea, having two is even better. Having two passports opens up a world of opportunities. In my case it allowed me to emigrate to Europe and enjoy the advantages of doing so as an European citizen. Of course, access to a country without a visa is just one aspect. The South Korean passport may have four more countries than the one from Portugal, but clearly the Portuguese Passport has the advantage of allowing you to reside anywhere in the European Union as any other citizen, making it a far more desirable passport. The country of origin of the issued passport is also important. Powerful countries don’t always provide the most benefits, especially in this time and age. For example, opening a foreign bank account with an American passport is very difficult given how much information the American government ends up demanding from the bank if doing so. It’s just not worth the trouble in the eyes of most banks, at least not for ordinary American citizens. Then you have to take into account the reputation and foreign policy of the country. Currently, in many parts of the world, there’s an anti-American sentiment that may work against you. During terrorist attacks, Americans and British citizens may be killed immediately while others are allowed to live. This happened during the 2008 attacks in Mumbai. Since the American and British government “does not negotiate with terrorists”, there’s a good chance you’ll end up killed immediately, or end up brutally executed. On the other hand, countries such as Spain and Italy, they will pay for your release and have stated so publicly on several occasions. In 2012, Mariasandra Mariani tried to explain her al-Qaeda captors that held her in the north of Mali that her family didn’t have money to pay. Her kidnapers told her to relax, that Italy “always pays”. Italian Citizen Sergio Cicala and his wife Philomene Kabore, kidnapped in 2009 in Mauritania. They were held captive for five months before being released. Some will argue that paying only makes things worse because it finances terrorism or it even makes you more likely to be kidnapped. So far evidence shows that foreigners are equally targeted, and it’s only after the actual kidnap takes place that their faith is decided. As for what’s morally right… guess being in an orange jumpsuit with your head about to be detached from your body puts things into perspective. 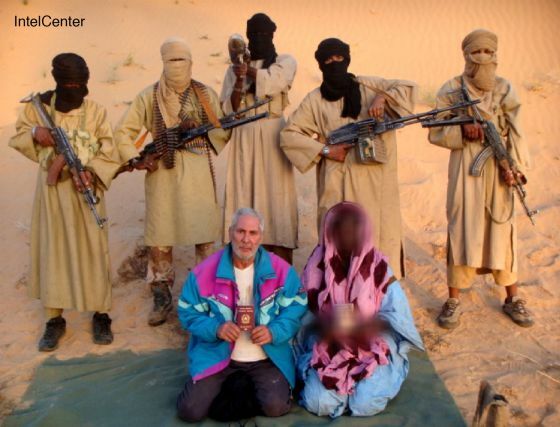 Spanish Citizena Albert Vilalta, Alicia Gámez and Roque Pascual kidnapped in Mauritania in 2010. They were released 268 days later. France has more of an “unofficial” stance, but they are known to pay as well. Depending on the passport, you may not even be taken captive. This will of course depend on the country’s foreign policy stance in regards to the group that has taken you captive or the country where you happen to find yourself in trouble. Some of the more humble countries that aren’t seen neither as a world power nor as a threat may be even more advantageous. In 1995, and while detained by Croatia special police, a group of Argentine and French UN delegates noticed a sudden, friendly change by their captors once they noticed the Argentine flag worn by one of the men. “Argentino!” he cried out one of the Croatian fighters, while at the same time pointing at the markings on the Argentine made FM FAL rifle he carried. Getting a second passport may not be as hard as you may think. In some cases, it may cost very little money if you have the right paperwork and enough patience. 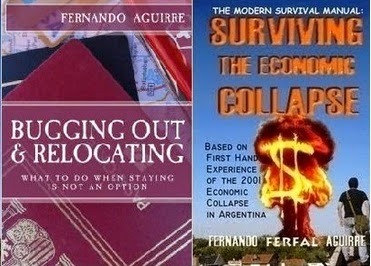 In my book “Bugging Out and Relocating” I explain several ways in which you can get one. In general, having money makes things easier as many countries either sell passports directly in exchange for donations or provide one after a significant investment is made in the country. If you don’t have several hundred thousand dollars sitting around though, one of the best ways to get a second citizenship is by taking a closer look at your family tree. If you have grandparents that came from certain European countries, such as Italy, Poland, Germany and Ireland, you have a good chance of getting a EU passport. With so many great options available, choosing the best everyday carry flashlight is not an easy task. For the flashlight collectors or “flashaholics”, things have never been better. There’s hundreds of great lights out there, but which one should you carry? The flashlight industry is constantly evolving along with LED technology. Every year lights are brighter and use less battery power. A +100 lumen single AAA keychain light was unthinkable just a few years ago but today a 162 lumen 1xAAA light lives in my keychain (Thrunite Ti). A survival-minded approach will help us narrow down our options considerably in spite of how overwhelming the offer out there can be. We want dependable, reliable flashlights. We want a brand that we can trust, enough lumen output for whenever we need it but also low modes for saving power when going without electricity for an extended period of time. 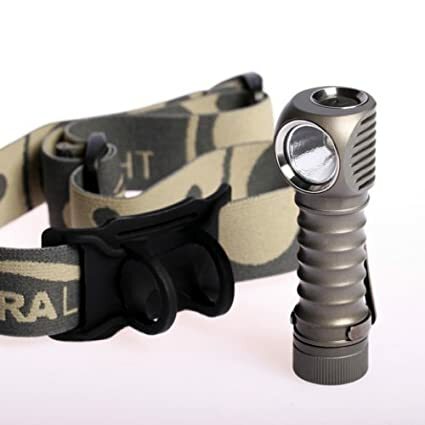 Ideally, the light will take readily available AA and AAA batteries although CR123A are becoming more common and they do provide the most power for tactical lights. Strobe for disorienting attackers, beacon and SOS modes for signaling, these may be literal life savers during emergencies. 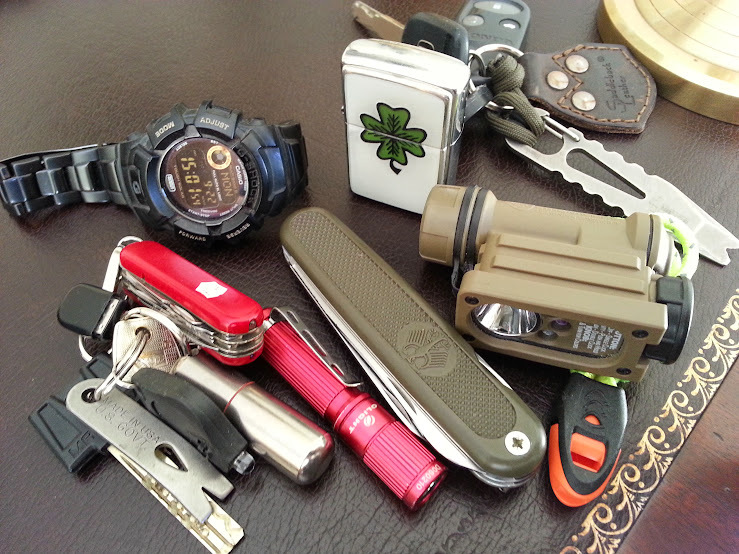 For the modern survivalist, the EDC flashlight (and most gear in general) is chosen keeping in mind a two-tier application: On one level the item, in this case the flashlight, must be useful and viable on a general purpose, every day use level. You’ll use it for looking into boxes, checking for things dropped under furniture, walking across a garage without turning the lights on, or walking across the parking lot at night without stepping on mud and getting your feet dirty. On another level, the flashlight should perform on a worst case emergency scenario. It should allow you to find people when someone gets lost while hiking along a trail. It should allow you to signal for traffic to stop if there’s an accident. It should run for several hours, maybe even days if power goes down after a disaster. It should be capable of temporary disorienting an attacker. It should take common batteries you may be able to scrounge. It should be capable of signaling for help when wounded, lost or otherwise stranded off the beaten track. The H52W is one of the most powerful 1XAA lights in the market today with an output of 280 lumens on high. It can also take 14500 li-ion batteries, which brings the maximum lumen output up to 500 lumens on high for one minute before dropping back to 280 lumens. The H52W has programmable brightness levels as well as beacon and strobe modes, making it easy to suit personal preferences. The H52W is a 90 angle light which combined with the strap turns the Zebralight into a headlamp, freeing one hand for use compared to normal hand-held lights. It also has a Low battery alert function. With great construction and design the Zebralight is as of right now one of the most capable flashlights in the market. For those that like these functions but prefer a normal straight reflector configuration, there’s the Zebralight SC52. If you could only have one flashlight for the end of the world the Streamlight Sidewinder II would be it. It can be used as a headlamp or hand-held light. It’s a true mil-spec torch, tough as nails. It has various output modes and LEDs to choose from, including red, IR and blue (green in some versions). The included head strap turns it into a useful headlamp. Maybe its most impressive capability, the Sidewinder Compact II can digest most small batteries you come across: CR123A, AA, AAA, 14500, 10440, 16340. The downside is that the high mode is not as bright as in other models and the shape makes it less comfortable to carry than smaller, cylindrical tube format lights. Other than that, the Sidewinder Compact II is THE survivalist’s flashlight. The Eagletac D25C is a simple, no-nonsense 1XCR123A flashlight. In spite of the compact size, which is one of its strengths, it has a lot to offer: Tough and well made. Cree XM-L2 U2 LED. Maximum output is 453 Lumens (with 16340 li-ion) . 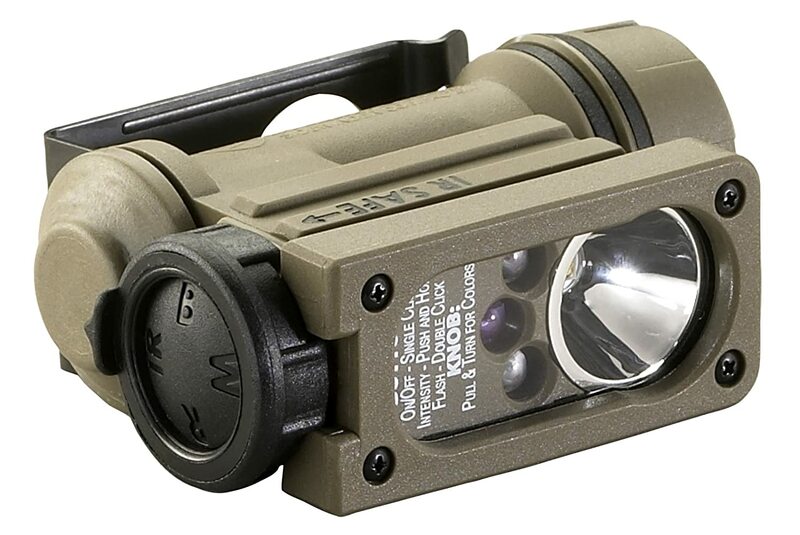 You won’t bash anyone’s head in with this light but tightening the head it goes into “tactical” mode, high and strobe, while loosening the head allows you to access the different brightness levels, moonlight, beacon, strobe and SOS for general purpose and emergency signaling use. 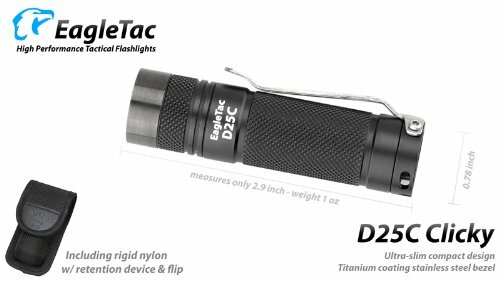 The D25C is one of the most compact CR123A clickly flashlights in the market. The Tintanium D25C looks fantastic. 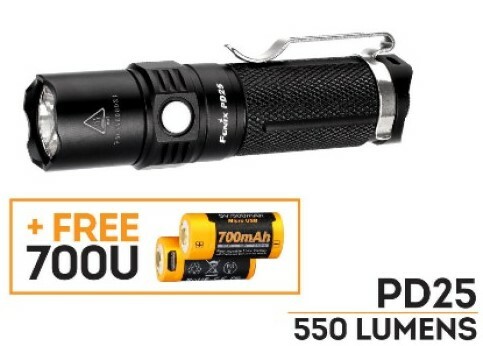 Featuring a Cree XP-L LED, the latest edition of the PD22UE uses a CR123A battery for a maximum output of 400 Lumens but also officially supports the use of 16340 batteries for an output of 510 Lumens which will run for 45 minutes. Modes include turbo, high, medium, low, strobe and SOS which can be accessed using the side switch. 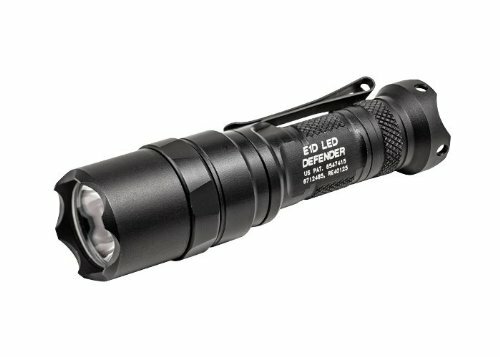 The P22 is a classic EDC torch made by a reputable manufacturer. It is clearly intended as a tactical/utility light and should serve you well on both roles. The P22UE is also one of the few lights that officially approves the use of 16340 li-ion batteries. The E1D is as close as it gets to a pure breed tactical light in an EDC pocket format. 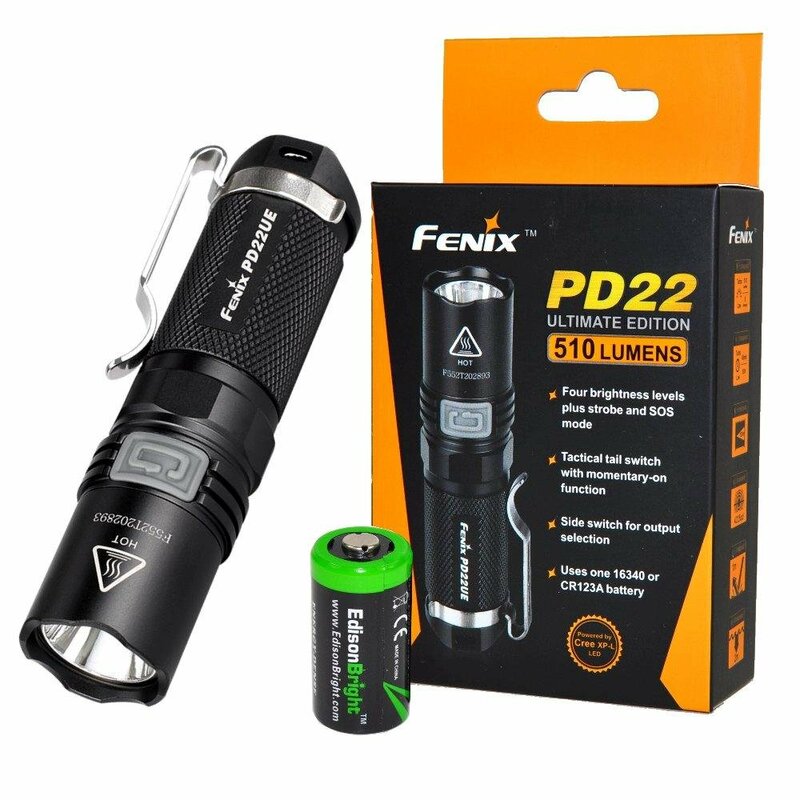 This is a light flashlight collectors have wanted for some time, often modifying the larger E2D so as to make it a shorter single battery light. At 300 lumens the E1D may not sound very impressive but Surefire tends to underestimate its own lumen output. Surefire quality is legendary, its built like a tank and the strike Bezel makes for a nice compact defensive tool. There’s not a lot of output modes to choose from, its either the 300 lumen high or 5 lumen low. 5 lumen is a good amount of light for low battery drain yet enough light for most close range utility tasks. A strobe mode would have been a nice addition, although 300 lumens should be enough to disorient an attacker when dark. 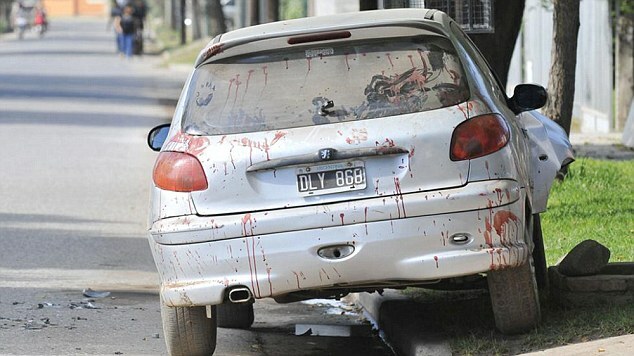 When it comes to crime, some of the weirdest, craziest incidents happen in Argentina. 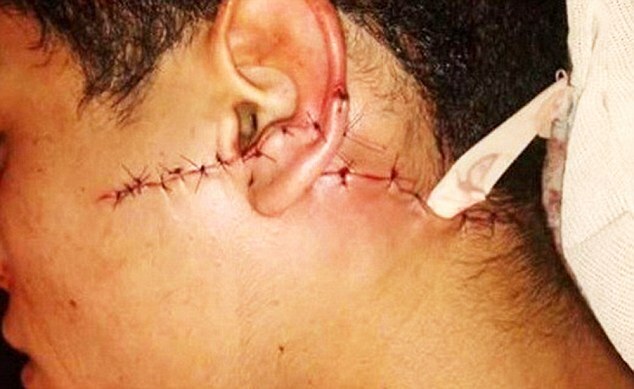 Before you continue reading, some of the images below are very gory. 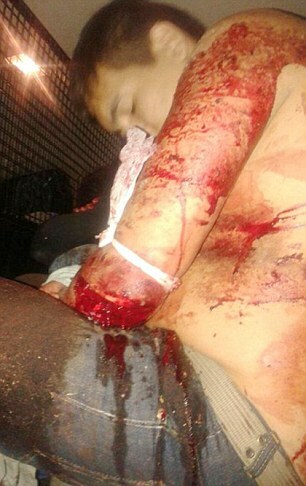 49 year old Dias Costa suffered a home invasion in his house in Cordoba, Argentina. Once inside the house, the three criminals armed with two handguns, started hitting Mr. Costa and his wife. When they tried to enter his son’s bedroom, Mr. Costa grabbed a katana sword he had hanging on a wall and attacked the criminals, cutting them in their hands, arms and face. 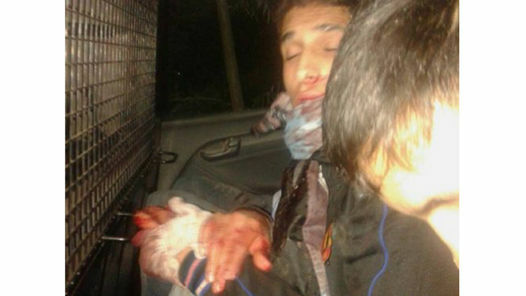 The fleeing criminals left in a vehicle along with an accomplice that was waiting outside but the driver crashed shortly after due to blood loss. The four criminals continued their escape on foot, but the blood trail was so big cops only had to follow it to a nearby house to capture the attackers. Dias Costa and his family have since received threats from the attacker’s family, forcing them to relocate elsewhere for their own safety. 1) Make sure your house is hardened. Good doors, locks and alarm. 2) Make sure you have a firearm for self-defense. 3) Even if you win the fight, that’s not the end of it. The bad guys’ family and accomplices may force you to bug out and relocate elsewhere so as to avoid retaliation. This is very common in Argentina and other countries where crime is particularly bad. You just don’t know what may force you to bug out one day. 4) I’ve said it before and I’ll say it again: In very close quarters and in the hands of a person that knows how to use it, a combat blade will do more damage than a handgun. 5) Oh yes, don’t bring a knife to a gun fight, but if you do, make sure it’s a big one and know how to use it! 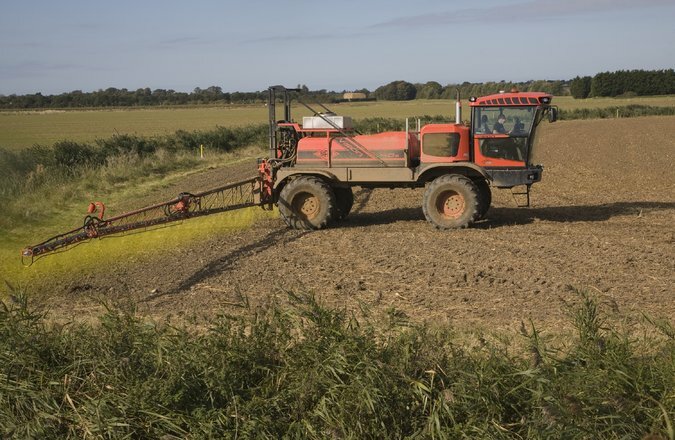 25 years after being denied by the Environmental Protection Agency, the World Health Organization has declared that glyphosate, the active ingredient in Monsanto’s Roundup pesticide, “probably” causes cancer in people. This is done using the same mouse study that was supposedly used to deny such allegations. Roundup is the most used pesticide in the world, so its no surprise that where Monsanto rules, cancer does so as well. The only reason why we don’t hear more about this is because Monsanto pretty much owns the food industry by producing both the patented genetically modified Roundup Ready crops seeds used to grow food and the Roundup pesticide used along with it. I was just wondering, a quick question out of curiosity. sell them before you left? quantities), but how does it work with lots of PM going in to the EU? I actually took very few belongings when I left Argentina. It was pretty liberating to be honest. Preppers love talking about all the stuff you need for your INCH bag (I’m never coming home bag) or kit. They are so attached to their “stuff”, the INCH bag discussion quickly turns into the INCH trailer as folks keep piling up the material belongings they can’t figure living without. Ironically enough, and as someone that actually did this “I’m never coming home” thing for real, I could have left with nothing at all in terms of gear and supplies. All I needed was the plane tickets, passports and savings to start over elsewhere. Regarding your question, I didn’t have a problem because even though I was taking cash and some precious metals, I was all within the limit of what you can bring in without declaring. How much cash and gold can you take to or from the United States or EU? It works the following way. There’s no real limit as of how much cash or precious metals (PM) you can bring or take out of the US. What you have is a limit of how much you can travel with without declaring. In the case of US, that limit is USD 10.000 and that’s for cash, precious metal or any other “monetary instrument”. If you have more than USD 10.000 worth of cash in any denomination or equivalent monetary instruments you have to declare it and fill a form FinCEN 105 called "Report of International Transportation of Currency and Monetary Instruments" . This form is intended to stop terror funding, money laundering and drugs, and will of course raise a big red flag so you probably want to stay under 10.000 USD when traveling. Keep in mind, this limit is for the entire group that is traveling together. You can’t travel with other people, family members or associates, and distribute the money among everyone. The European Union has a somewhat similar limit. In the case of the EU the limit is €10.000 or its equivalent in other denominations, or monetary instruments such as precious metals, diamonds, etc. The big difference is that in the case of EU, for persons travelling in a group the € 10.000 limit applies to each person individually. At the end of the day, it’s a good idea to have different options and diversify. You certainly need cash for getting around and precious metals are a great asset to have as well in case of a serious currency devaluation. If you have to travel, I would stay within the limit and use credit cards or debit cards instead. It’s a good idea to have a bank account in the country you’re planning to bug out to so as to be able to quickly transfer funds if things start looking bad. A foreign bank account can be your best financial asset when evacuating or bugging out abroad. If nothing else, open an account in Canada next time you’re visiting. It’s easy enough for Americans, you don’t need some fancy Jason Bourne secret swiss bank account. When it comes to precious metals, one of the things I learned was that even a small amount of money in silver can get very bulky and very heavy. Preppers like silver because its “cheap”, meaning you don’t need to break the piggy bank to put aside a couple silver eagles each month. Soon enough you can have a pile of silver, but this is not be as practical during an emergency as you may think. At a 70 silver ounces per 1 gold ounce ratio, gold coins are far more compact. Thinking of a scenario such as the one playing out in Ukraine, with checkpoints where you are likely to get stopped and “liberated” of any money that you may have, being able to hide your values is of great importance. 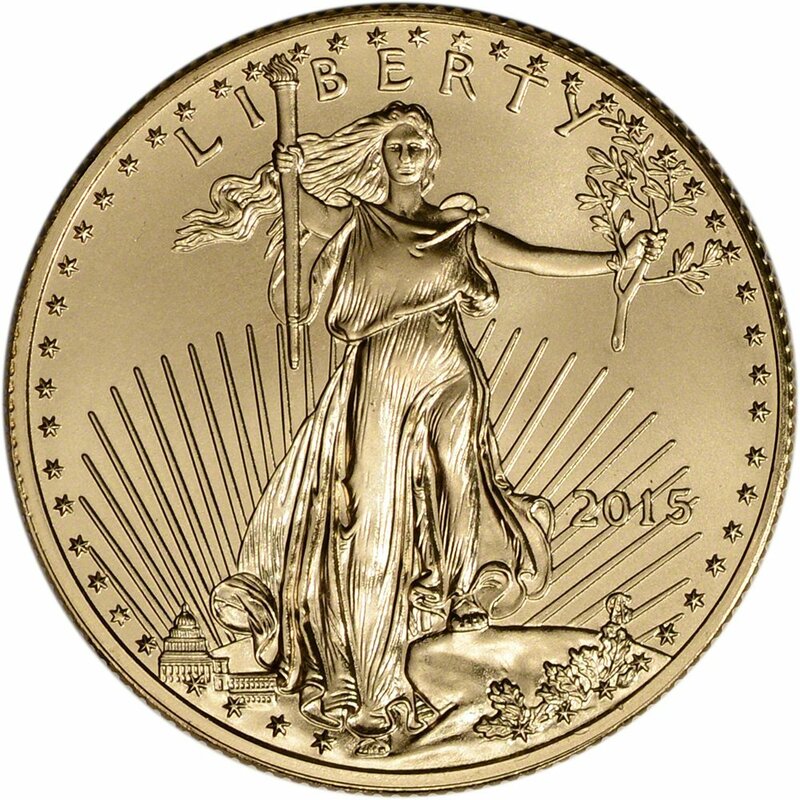 1/10th of an ounce gold coins are very compact, about the size of a dime, and a ½ ounce Gold eagle is about the size of a quarter. You could even hide them in your wallet along with your pocket change coins. A wallet with a couple 20 dollar bills and a few coins jiggling in the coin pocket of the wallet wouldn’t look all that suspicious. Stacks of neat plastic tubes full of silver Eagles are likely to be taken away at such checkpoints. People in Ukraine have hidden cash and other valuables in baby diapers. Small coins could even be swallowed. Gold rings and chains have been swallowed throughout history when escaping persecution. Again, don’t underestimate the importance of a bank account in a foreign country. It just takes a couple minutes to access your account on your cell phone and send money abroad, with a bit of luck you may be able to do so before all hell breaks loose and accounts are frozen. If you don’t have such an account, this won’t even be a possibility for you no matter how you saw it coming before the masses. Diversify and be smart about your money for emergencies and worst case scenarios. In cases like these, planning and having a good strategy will go a long way and make all the difference in the world.